GEORGIA. Pankisi Gorge, a Chechen Refugee settlement. March. 2008. 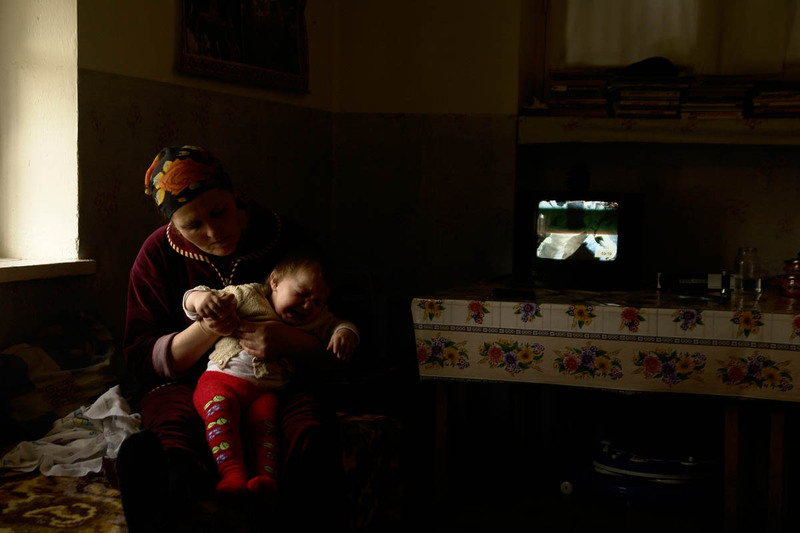 Chechen woman, Iase, with her daughter. During the war in Chechnya one of the bombs hit Iase's house in Grozny, the capital. She lost her home. Left in the streets, she followed the rest of the Chechens escaping to Georgia. Crossing the border she ended up in the Pankisi Gorge where she settled. She is still hoping to return home one day.